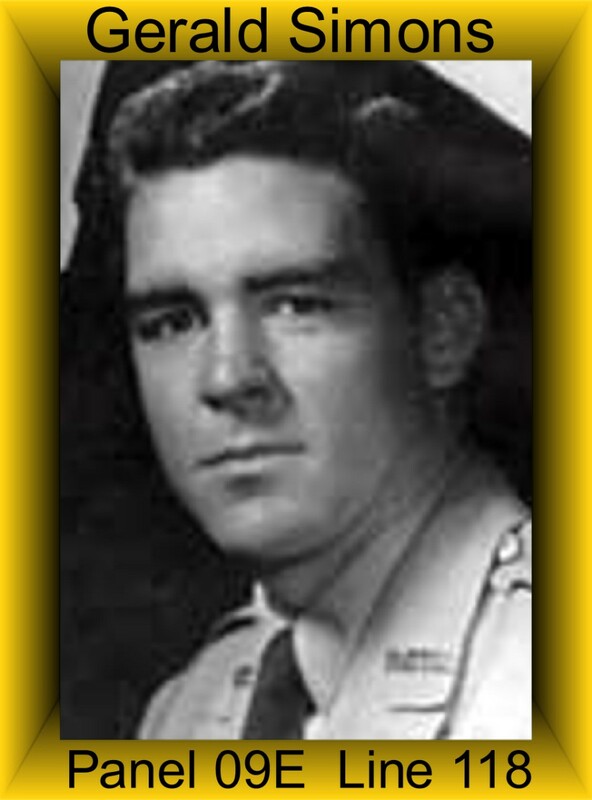 Gerald was assigned to Charlie Troop on July 22, 1966 and was Killed in Action on August 8, 1966. Gerald was a Pilot of an UH-1B helicopter. Gerald was awarded the Air Medal, National Defense Service Medal, the Vietnam Campaign Medal, the Vietnam Service Medal and a set of Army Aviator Wings. I am not sure what relationship you are to Major Simon’s daughter but if you will let her know that I will contact the members of Charlie Troop who may have known him so she can talk to them. I must admit that our soldiers are getting older and memories are slowing down.